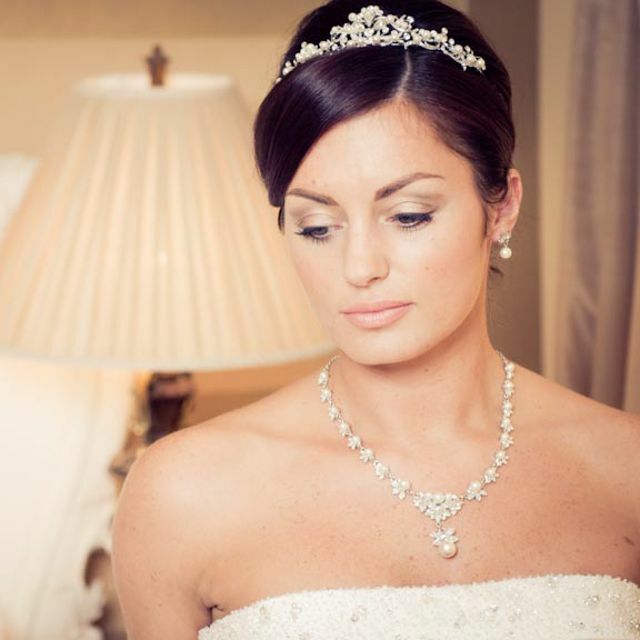 This timeless pearl wedding necklace earring set design features an antique leaf pattern with faux pearls, crystals and clear gems set in silver rhodium. 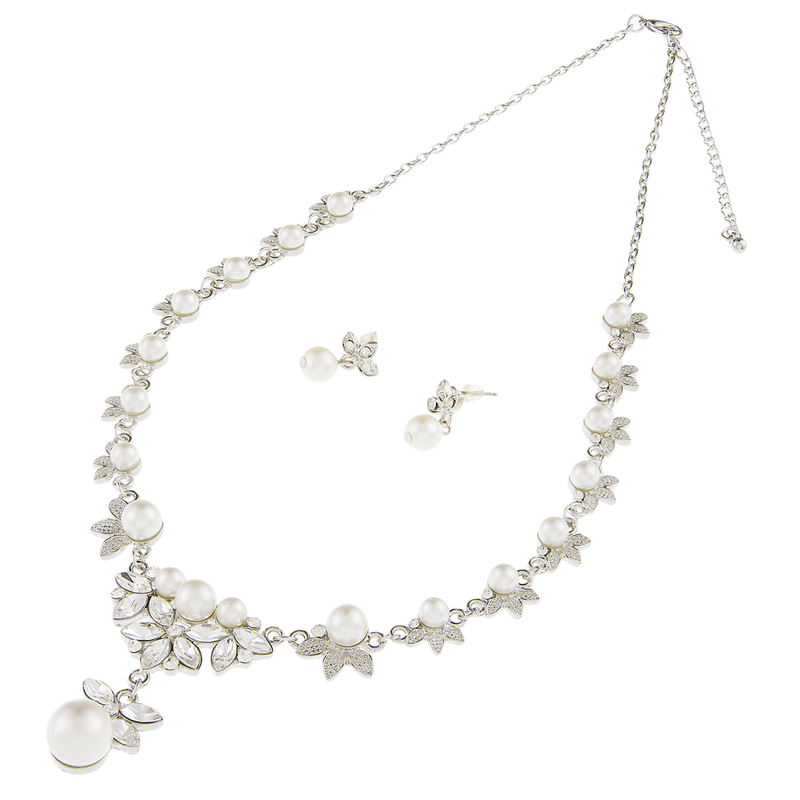 Pearl necklace and earrings set features a beautiful combination of faux pearl, crystals. The necklace set has a 1 3/4" center drop and adjusts from 16" to 18". Matching earrings are 3/4" h.